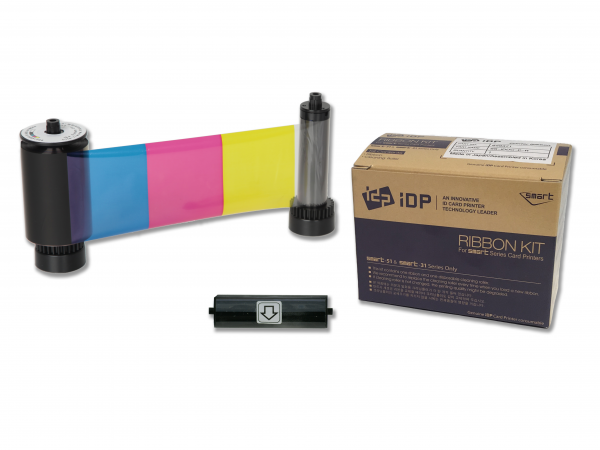 The IDP Smart Half-Panel Ribbon Kit (P-YMCKO, 350 cards) allows color printing on up to one-half of your regular PVC cards. It still allows the full card to be printed with black and protected by a thin, clear overlay. A half-panel card is excellent for companies producing ID cards and badges with photos or logos on the top half of the card and printed information on the bottom half of the card. The clear overlay protects your cards from normal wear and tear for longer lasting performance. 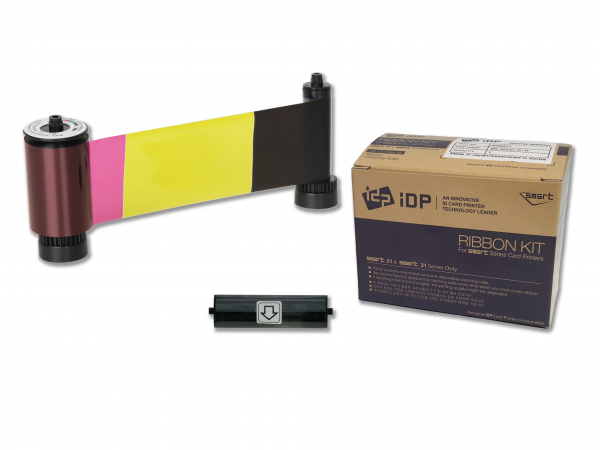 The IDP Smart Half-Panel Ribbon Kit (P-YMCKO, 350 images) is designed for the IDP Smart printers and installs easily. Only use genuine IDP supplies with your IDP printers for the best quality and results.